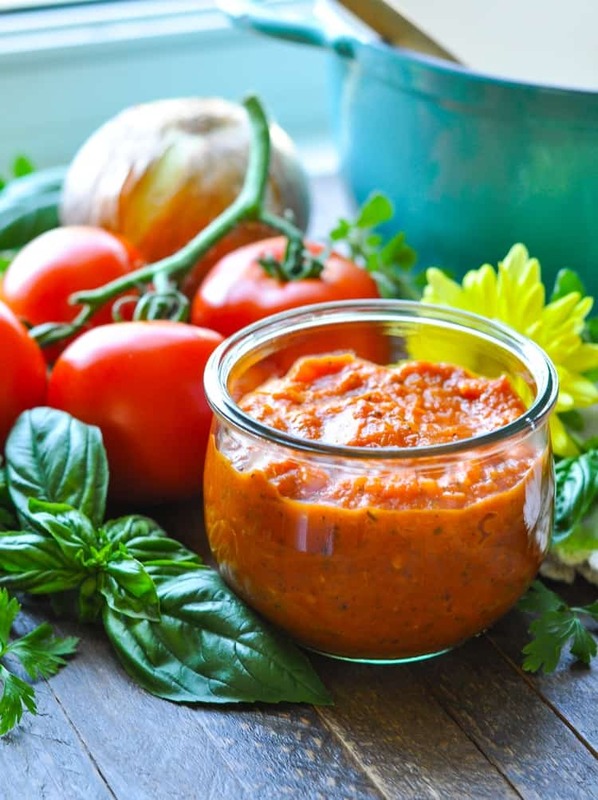 If you're looking for a simple, nutritious, and easy homemade marinara, then today's 20-Minute Garlic and Herb Tomato Sauce is just for you! 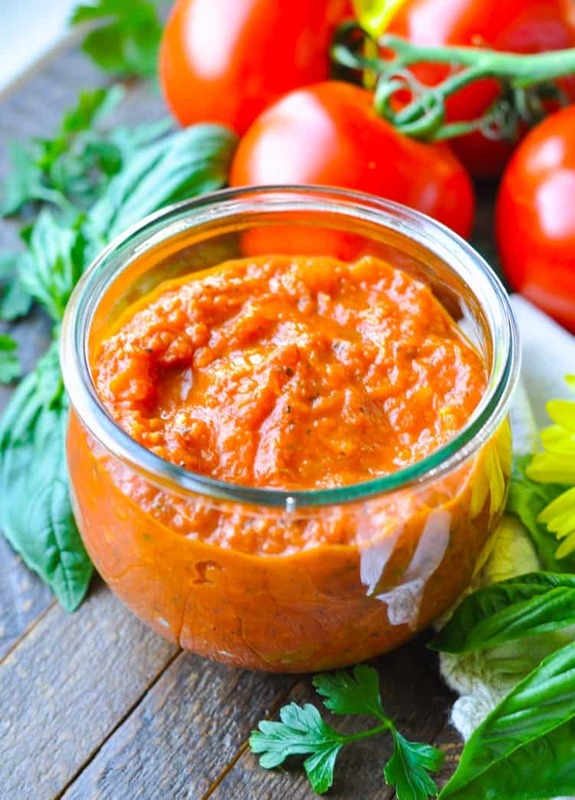 If you’re looking for a simple, nutritious, and easy homemade marinara, then today’s 20-Minute Garlic and Herb Tomato Sauce is just for you! With either fresh tomatoes or canned tomatoes, it’s a delicious and versatile addition to just about any Italian-inspired meal! If you’ve ever grown tomatoes in a garden, then you can probably relate to the overwhelming feeling when your plants all ripen at exactly the same time. While there’s nothing better than a sweet, juicy, bright-red homegrown tomato, the task of trying to enjoy buckets and buckets full of tomatoes before they all go bad can be daunting, at best. 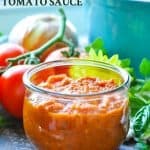 For years I have been working on my own recipe for homemade tomato sauce, since I seem to encounter the same happy “problem” of too many ripe tomatoes each summer. 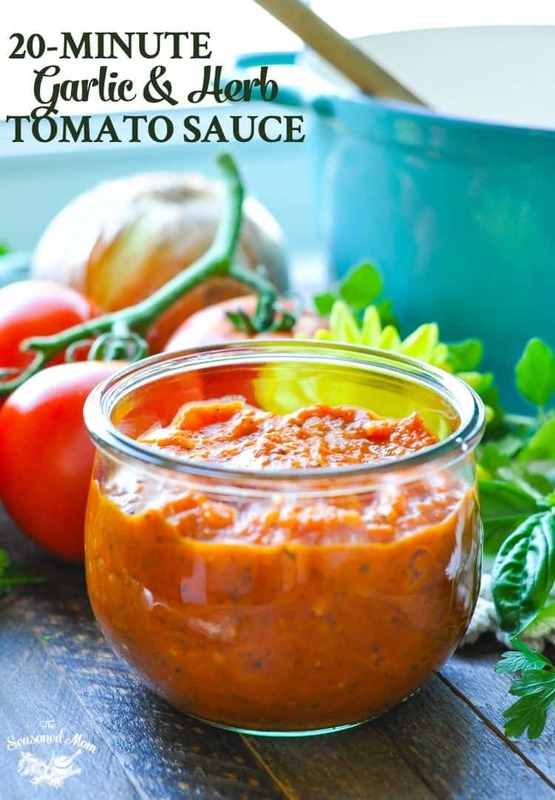 A jar of tomato sauce solves so many problems because it can be kept in the freezer for a few months, it can be used in a variety of dishes (like pizza, lasagna, and spaghetti), and it takes advantage of other garden fresh herbs as well. Win-win-win. I have even given homemade jars of tomato sauce as Christmas gifts to friends and neighbors in the past! What a welcome surprise it is to open a jar bursting with wholesome summer goodness in the heart of cold, winter, cookie season! 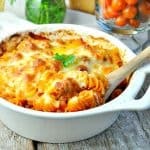 But the reason that I love this particular tomato sauce recipe most of all is because it’s FAST and EASY. Heck, if you use a can of really good tomatoes (like San Marzano), it takes about 5 minutes of prep and the sauce tastes like it came from your garden…without having to peel the tomatoes. 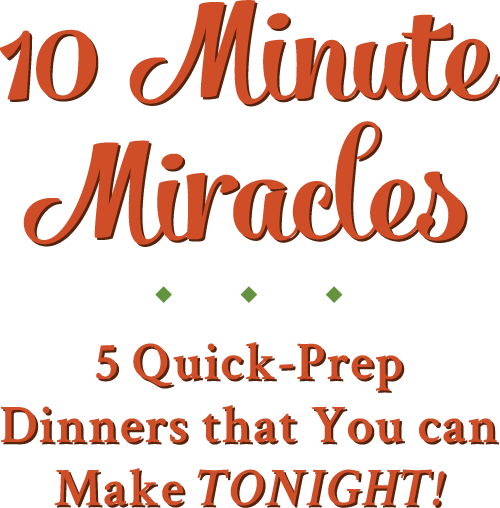 It’s a quick way to get the sauce done in 25 minutes (or less), and your happy friends and family who are feasting on a delicious meal will never know your secret! 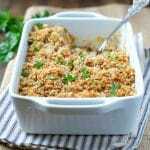 This recipe yields about 2 cups, which is enough for one family dinner, one casserole, or one large jar. If you’re like me and you’d rather have MORE to keep on hand, just double the ingredients and proceed with the same cooking instructions. You can save half of the sauce in your refrigerator for up to a week, or keep it in an airtight jar in the freezer for at least 3 months (and probably longer). 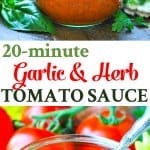 Once you try the easy homemade version of my favorite 20-Minute Garlic and Herb Tomato Sauce, you’ll never go back to the store-bought version again! In a large saucepan over medium-high heat, melt the butter. Add the onion and cook, stirring, for about 3-5 minutes (or until soft). Add the garlic and cook, stirring, for 1 more minute. Stir in the tomatoes and reduce heat to medium low. Add basil, oregano, salt and pepper. Simmer, partially covered, stirring regularly, until sauce is thickened (about 10-15 minutes). 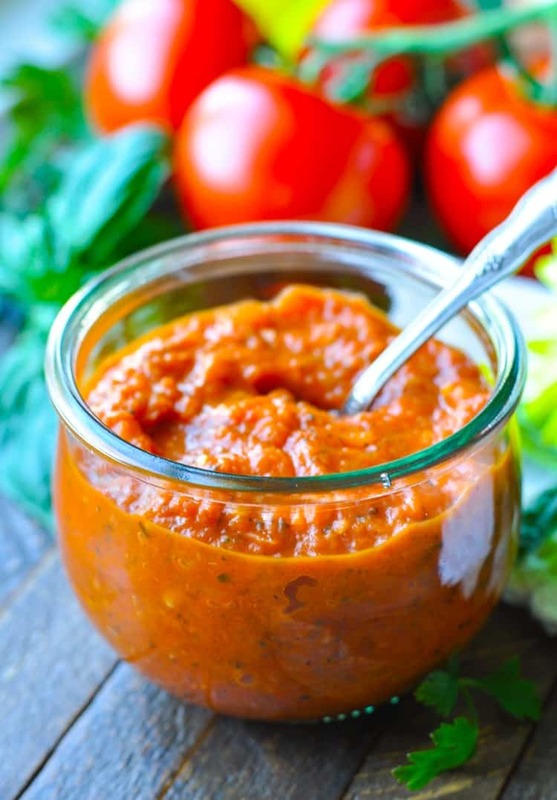 Transfer sauce to a food processor or large blender to puree until smooth. Taste the sauce, and add additional salt and pepper if desired. You might also want to add a teaspoon or so of sugar or honey to balance the acidity of the tomatoes. Just taste and adjust to suit your preferences. 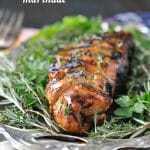 This sauce can be prepared in advance and refrigerated for up to one week. You can also freeze it in an airtight container for up to 3 months. Reheat over low heat in a covered saucepan on the stove just before serving. Recipe adapted from The Colonial Williamsburg Tavern Cookbook. 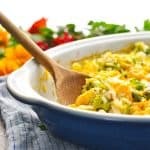 Previous Post: « Two Weeks of Easy Dinner Recipes for Two! This looks so good! I love that you gave the option to use fresh tomatoes or the canned kind. Love that flavor! Thanks, Gayle! Hope you’re enjoying the weekend! I can’t wait to try this. Easy and sounds delicious. My tomatoes are just coming in. Wonderful! It will be so delicious with your homegrown tomatoes, Linda! I was just wondering if I would be able to can this? I know you said I could freeze it, but I was looking for something I can do that would have a longer shelf life. Hey, Kathy! Yes, you can definitely can this sauce! 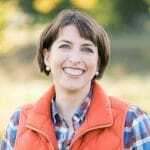 I didn’t share any specific canning instructions because I am no expert in that regard and I know that there are very specific requirements necessary in order to keep food shelf stable. Are you experienced with canning? If so, you probably already know how to do it. If not, then I would suggest looking online at other canning instructions for tomato sauce. This process would generally be the same. – Put 1/2 teaspoon of citric acid in each jar. – Bring to a boil and boil the jars for 35 minutes to process. – Remove jars to a folded towel and do not disturb for 12 hours. – After 1 hour check to make sure that the lids have sealed by pressing down on the center of each. If it can be pushed, then it’s not sealed properly and should be refrigerated immediately. I just wanted you to know yesterday I canned 12 quarts!! They turned out so good!! Thank you for the great recipe and the tips on canning. Wonderful, Kathy! I’m so glad that you love the sauce — and now I’m jealous of your stash! 🙂 I need to make another batch this weekend!